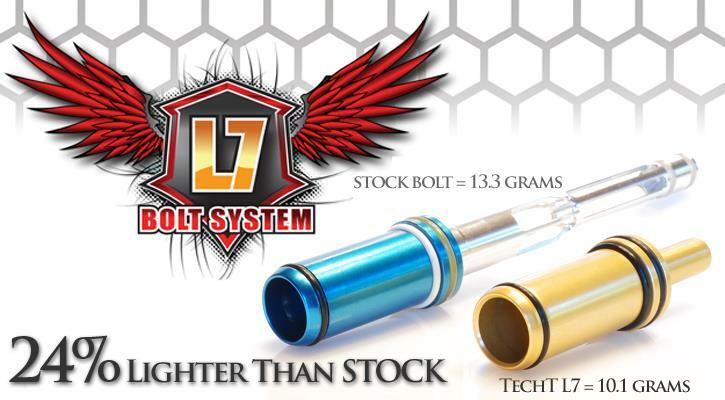 Get the most out of your Shocker RSX with the TechT L7 Bolt System! Also works on the newer Shocker XLS! 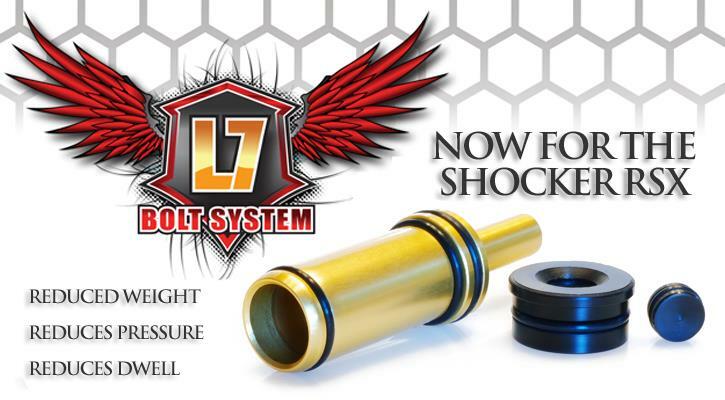 Our L7 Bolt System for the Shocker RSX Paintball Marker is designed to be the BEST of the BEST!!! It takes an already great paintball marker and takes it up a notch (or two!) in performance. 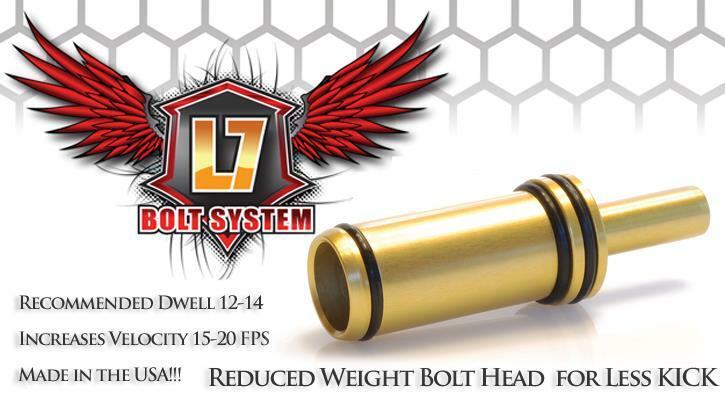 The L7 Bolt Upgrade reduces the moving mass inside the gun. This reduction in weight naturally produces less kick, and allows you to lower the pressure the gun runs at! This means you will be softer on brittle paint, and that means less ball breaks! It also means the gun will be more quiet because it's shooting the same velocity but at a lower pressure. The more quiet your gun is, the harder it will be for the other team to locate you when your shoot, and that means even more wins for you! Not to mention smiles for miles! After all, who doesn't like winning more? This upgrade makes a great addition to any Shocker RSX or XLS! Smaller Bolt Head = Increased Firing Chamber Volume = Reduced Operating Pressure = Quieter Sound Signature & SOFTER On BRITTLE Paint = Enemy Can't Hear YOU & Less Barrel Brakes = MORE Wins = AWESOME!!! Works on the Shocker RSX and XLS! Comments: Works very well. XLS was set at between 275 and 300 FPS. With L7, XLS chrono at 328 FPS. Turned regulator out about 1 full turn to shoot between 276 and 292 FPS. Can’t wait to play more and break the setup in.